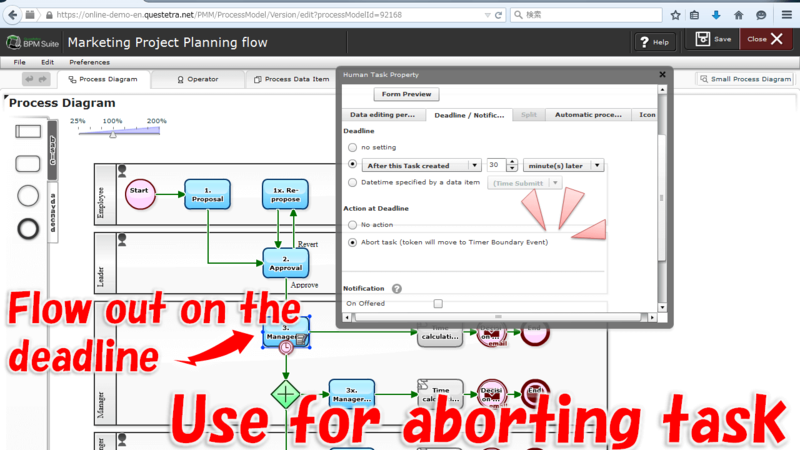 The deadline for each step is set in the properties screen of the step on the flow chart. Various setting such as, 'Finish within 12 hours after the Requested.' or 'Finish until desired time for the answer.' are available. 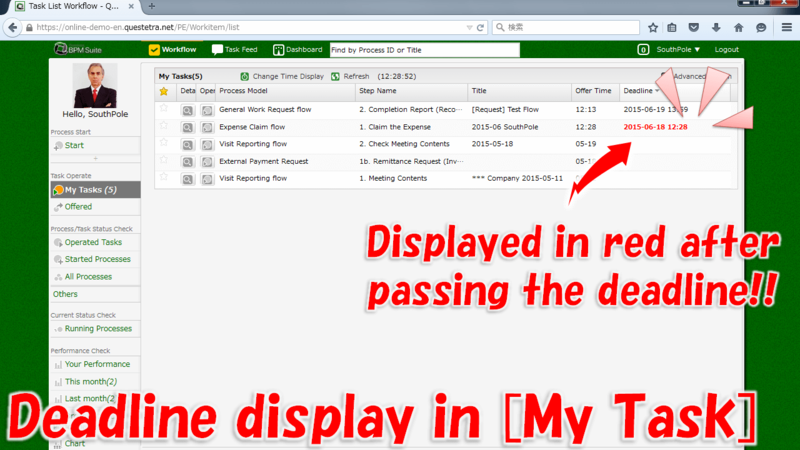 The deadlines are indicated on the list of [My Tasks], so it will help to give priorities to handle. When [Date type data] is set as the deadline, the time is set as '23:59'. 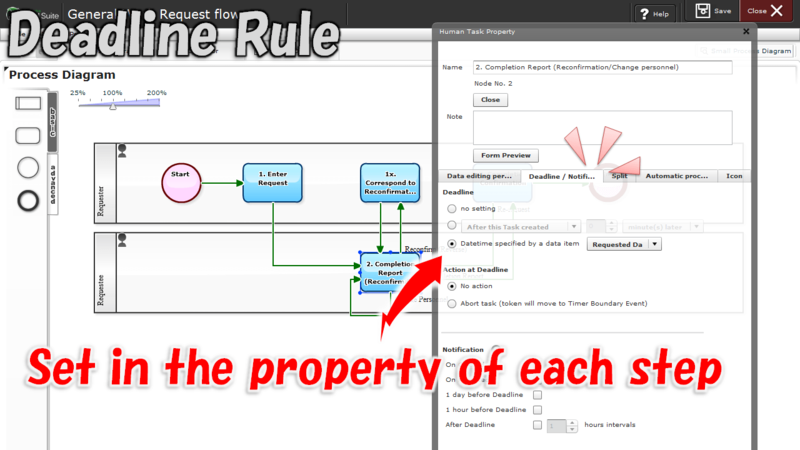 You need to set a deadline time of the auto-Step in the data assignment format (Reference formula). 2017-04-10 (Remittance Process): Episode 530: Automate Payment Operation with "Banking APIs"
2016-12-19 (Cabinet answer creation): Episode 514: Politicians should Show Us "Productivity Improvement" Practically! 2015-08-03 (Bill Deliberation in the National Diet): Draw a "Bill Deliberation Process" of the National Diet in a Business Flow Diagrams!